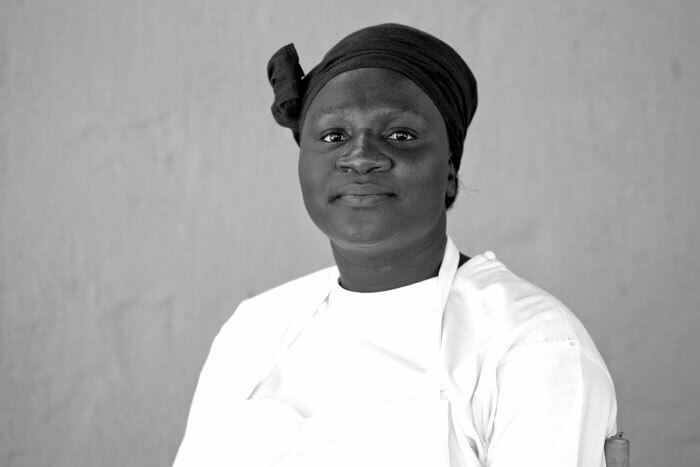 Anna - Executive Chef. 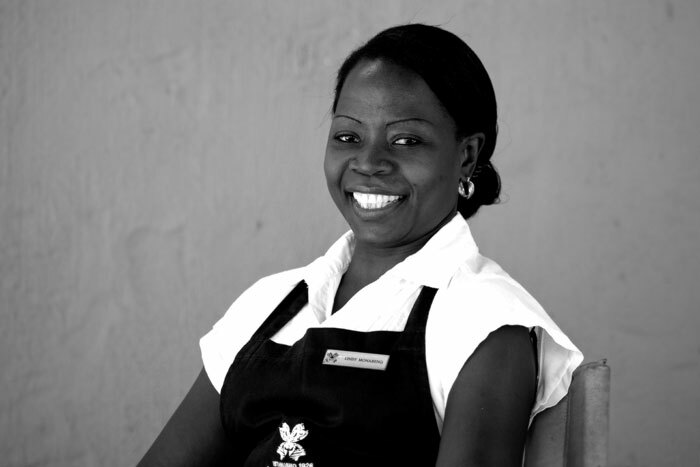 Anna has worked in restaurants, lodges and hotels across Southern Africa. 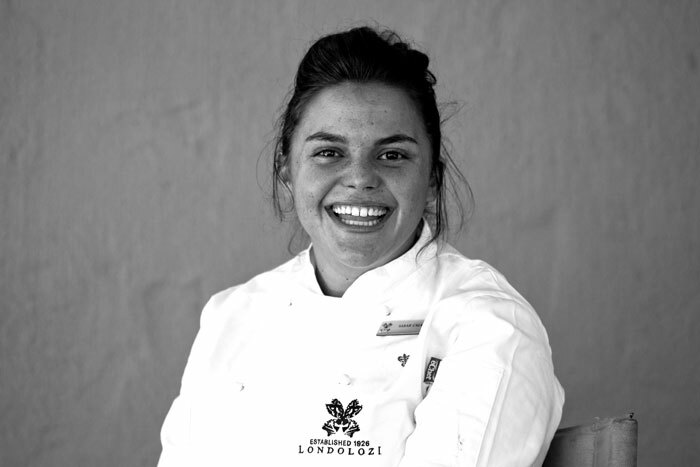 Coming back to the bush to work at Londolozi was a great opportunity to unleash her inner passion for eclectic styling and creativity in the kitchen. 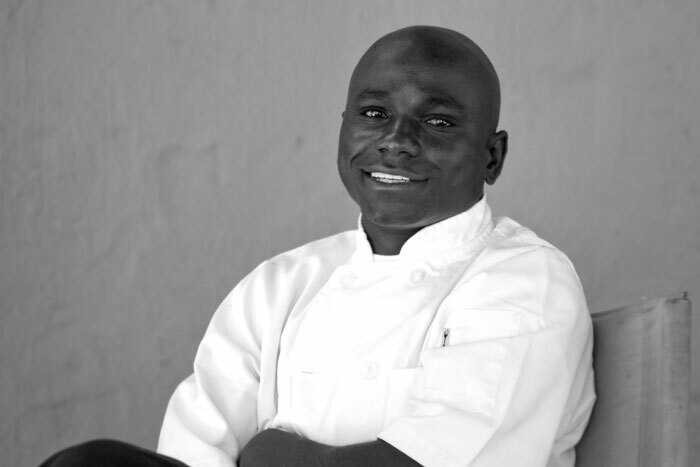 Eric - Executive Sous Chef. Eric the silent wonder of the man who stealthy walks around the kitchen yet has the respect of everyone around him. He makes the Executive Chef's job that much easier. 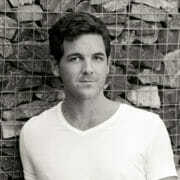 Eric also supports a children's creche (Xalamukani) working with the good work foundation. Elmon - Meat Specialist. 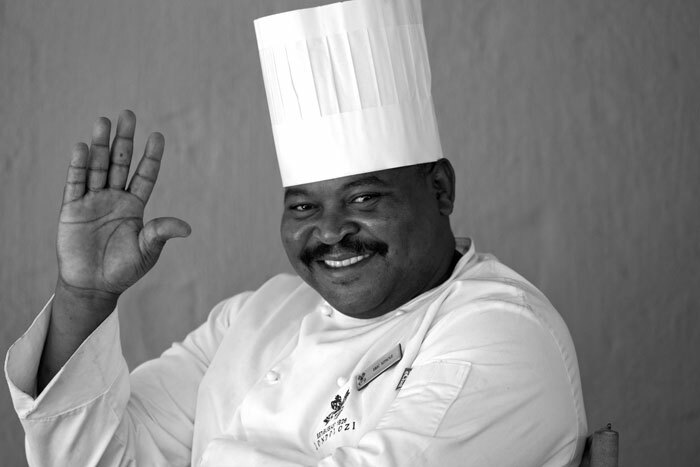 28 years at Londolozi, Elmon is the longest Running Chef at Londolozi. He knows all the stories and reminds us all of how he used to have to wait for weeks for meat to come in as opposed to the efficient delivery truck. 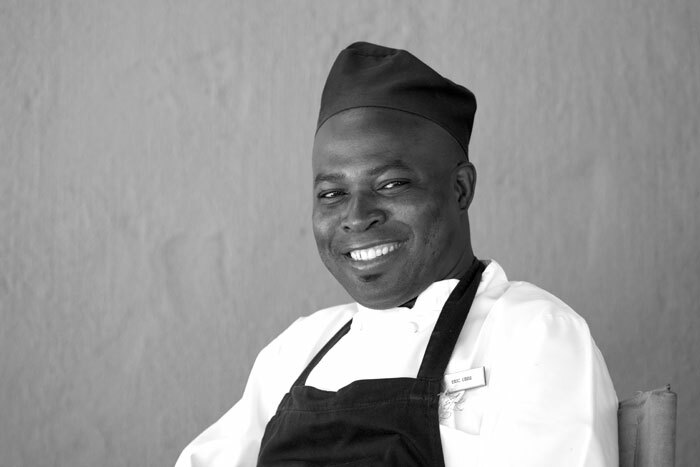 Elmon is the one who prays for the kitchen team every morning with his wise words. Connie - Bush Banqueting Sous Chef. 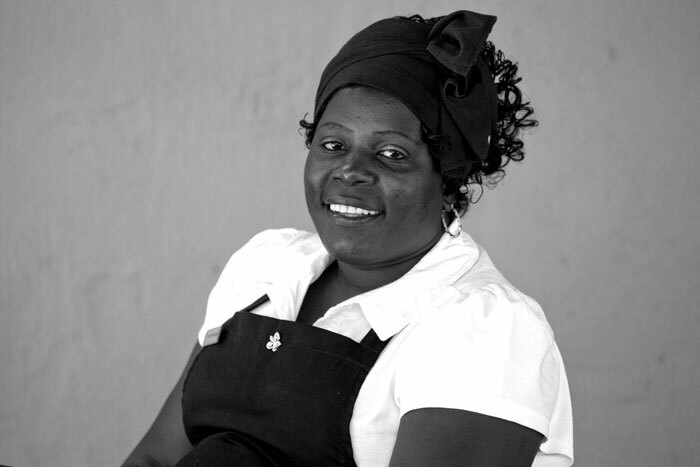 Connies is the matriarch of the kitchen who willingly works long hours to ensure that every guest has beautiful fresh chutneys on the their plate and their bush banqueting experiences are fulfilled in every way. Flora - Baker. 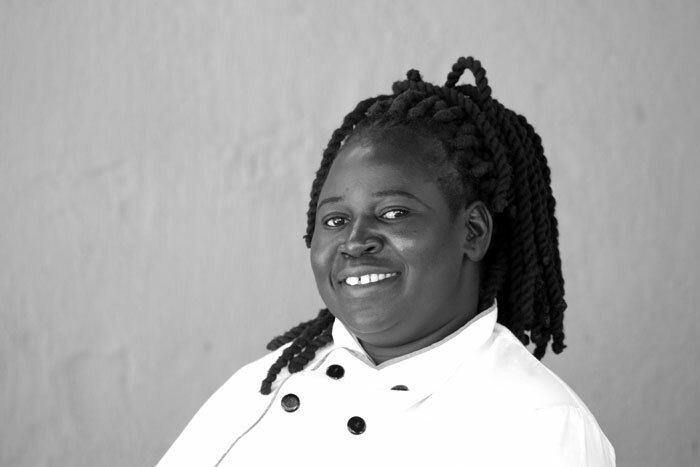 19 years at Londolozi, Flora has ensured that all guests satisfy their sweet tooths, and experience the wonderful array of baked goods and desserts that originate from her side of the kitchen. 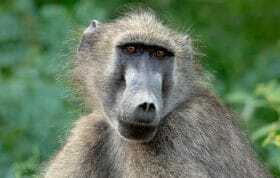 Sipho - Food Stores Manager. Without Sipho the kitchen would have no food. He is responsible for ordering the food and making sure the deliveries arrive. He maintains the fridges, dry stores and freezers all with a massive smile on his face. Virginia - Pioneer Sous Chef. The second matriarch of the kitchen. No one can make a soup and a quiche like Virginia can. Petunia - Pioneer Camp Chef. Petunia assists in ensuring that all Pioneer guests have the pioneering experience of a lifetime. 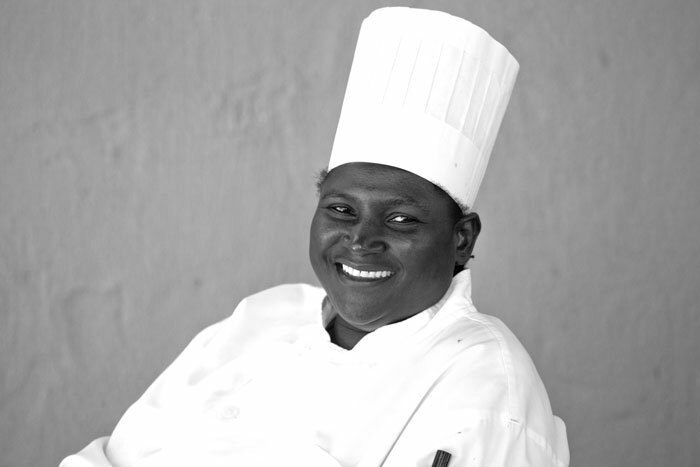 Often seen in the Pioneer interactive kitchen, she works closely with Virginia to serve up a culinary feast. 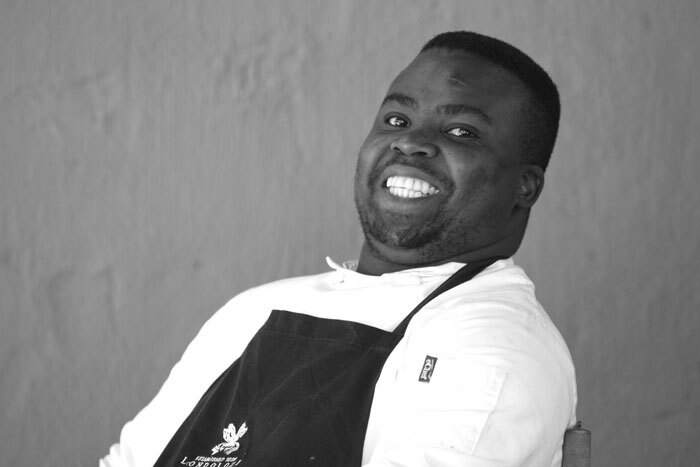 Sipho - Founders Camp Sous Chef. Big, bad and bold, Sipho magics up sauces that will leave your mouth watering as he drizzles it over his famous Kudu pie. Tom - Founders Camp Chef. Short but feisty, Tom works in the Founders kitchen and delivers a menu with all the flair and charisma of our operations manager, Duncan Maclarty. Dudu - Founders Camp Chef. 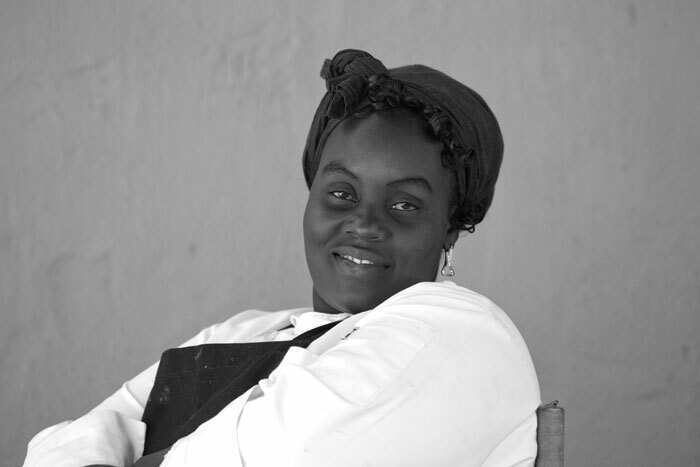 Dudu, in her quiet and meticulous manner, ensures that all Founders food receives a female touch of style and grace. 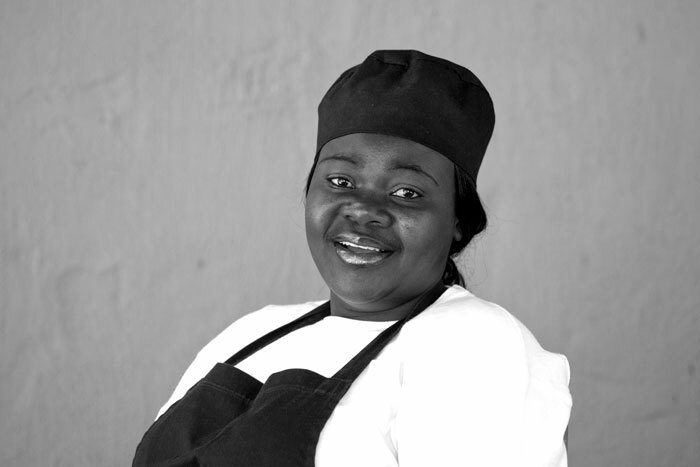 Lindiwe - Private Granite Suites Sous Chef. 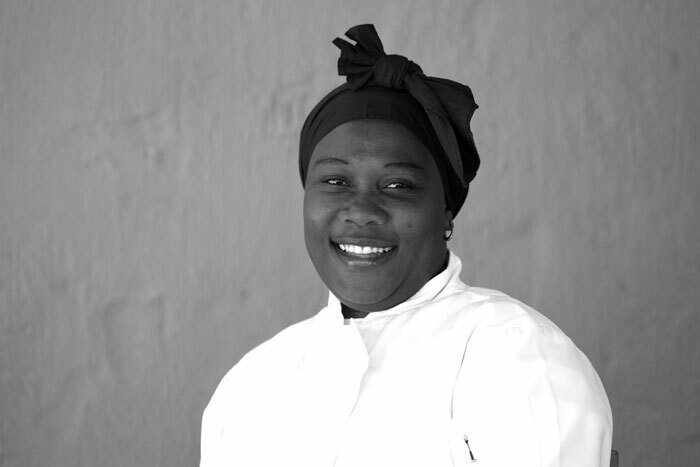 With beauty and elegance, Lindiwe has an underlying passion for creativity and pastry. She heads up the exclusive kitchen of the Private Granite Suites. Wistance - Private Granite Suites Chef. 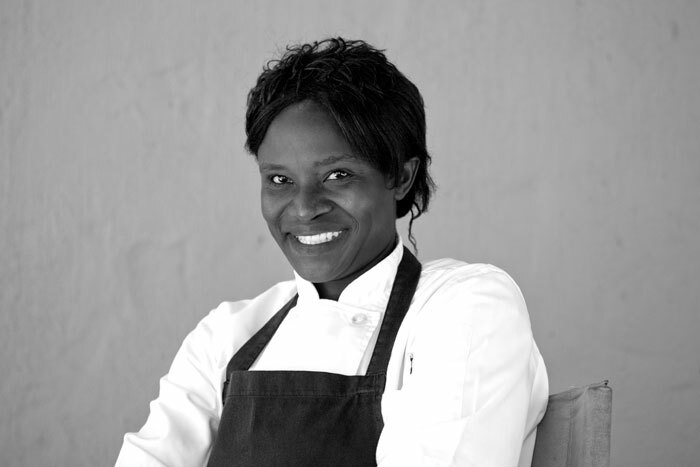 Assisting Lindiwe, Wistance adds spice and speed to eclectic flavors of the Private Granite Suites kitchen. Eric - Varty Camp Sous Chef. 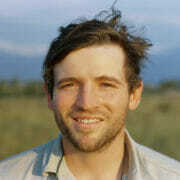 They call him 'Skoxa' or 'Loveday' which comes from him being a lovable teddy bear and head of the Vary Camp kitchen. He is brilliant with kids food and will ensure that any guest with a specific dietary requirement will walk away satisfied. Solomon - Varty Camp Chef. 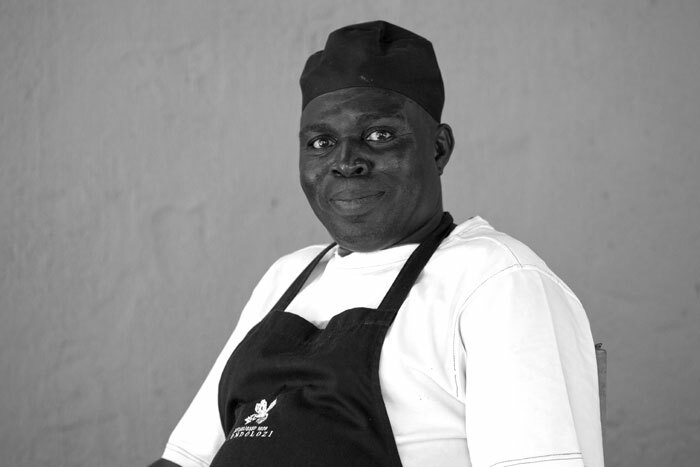 A maestro with his own flair for presentation, Solomon forms an integral part of the Vary Camp kitchen team. 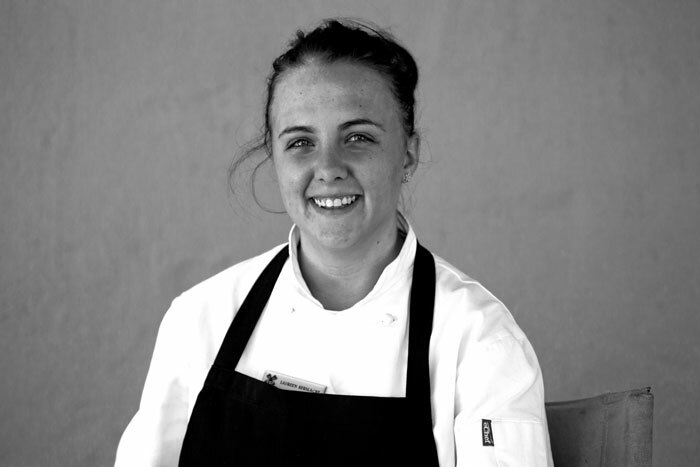 Liveness - Varty Camp Chef. 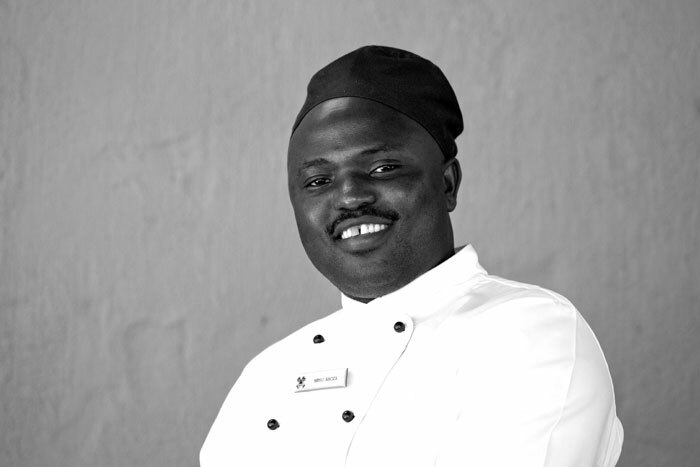 Wise and methodical, Liveness makes sure that guests are never short of homemade muesli, breads and baked goods. 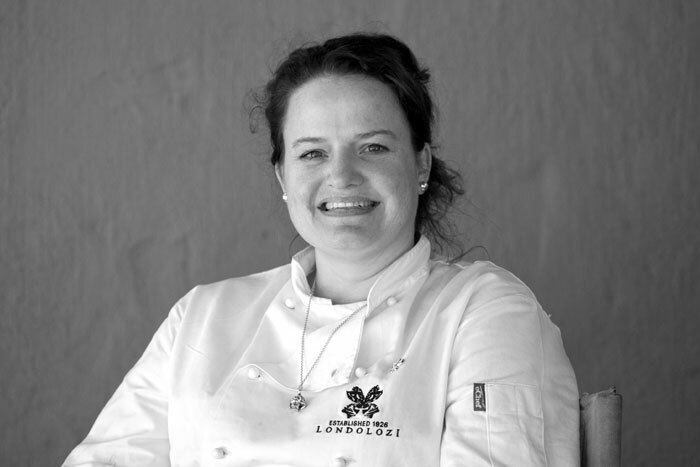 Laureen - Varty Camp Chef. 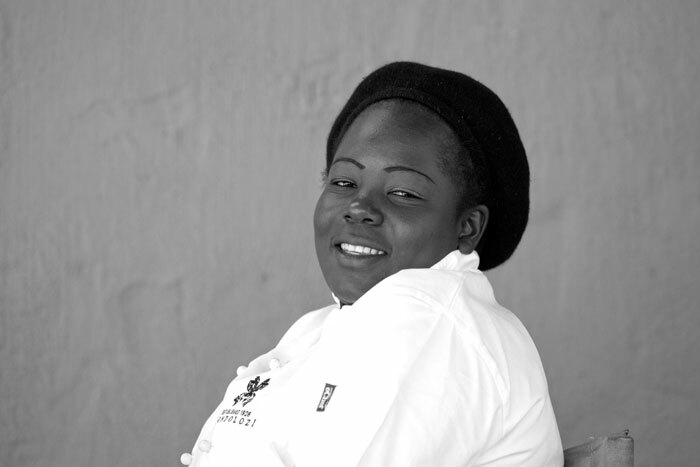 Laureen is a graduate of Pruelieth Culinary Academy and assists Sipho in making sure that the kitchen doesn't run out of food. Thoko - Tree Camp Sous Chef. 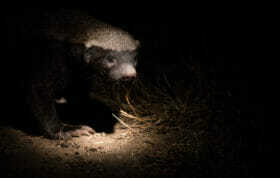 The beautiful Thoko reigns at Tree Camp and takes the guests as seriously as she takes her food. Thully - Tree Camp Chef. Eager to learn on all accounts and never fails to bring to the Tree Camp table food of excellence. Sandrie - Tree Camp Chef. 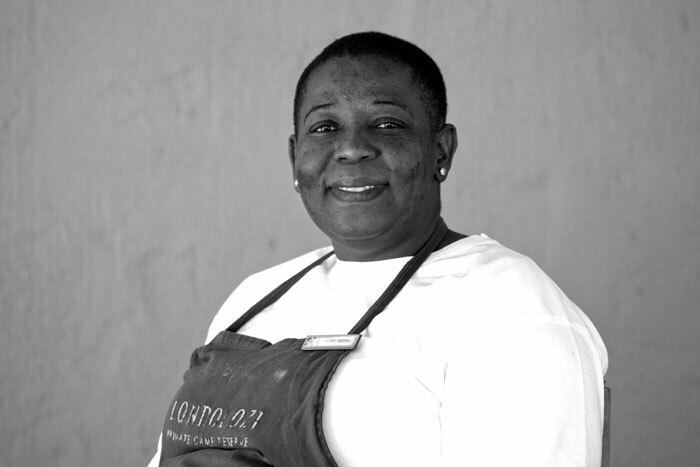 Slick, smiley and silent, Sandrie oils the cogs of the Tree Camp kitchen with grace and charm. 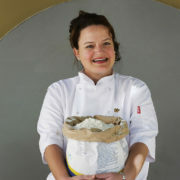 Sarah - Silwood Kitchen Student. Sarah is our resident Silwood Student completing her third year Grande Diploma. Great tribute to all those fabulous people…..thanks for spotlighting them in the blog! You guys have done super well I think of you so many times and wish to come see you soon . Will write to you and send a picture of our beautiful family. most memorable vacation in my 25 years in travel ! I applaud each and every one of YOU!!! While we stayed @ Tree Camp last June, we enjoyed the MOST AMZING meals from sun-up to sundown. 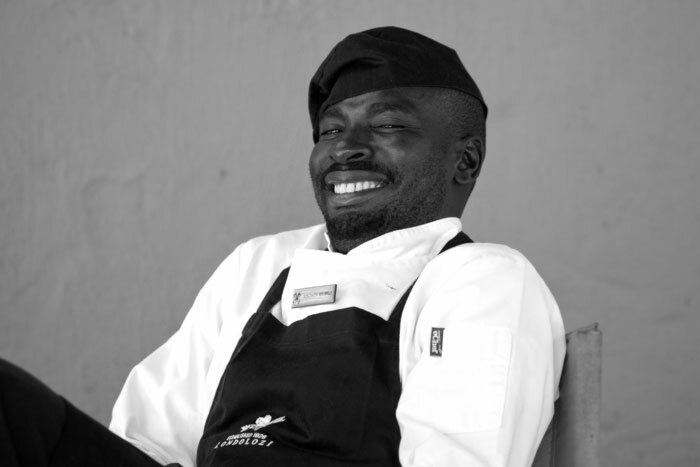 I KNOW it takes a village to produce the sumptuous meals you all put forth…you do it expertly and completely behind the scenes…the smiles, laughter and genuine human warmth generating from the kitchens are unparalleled anywhere. 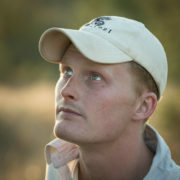 Kudos to Londolozi for assembling and KEEPING such a wonderful group of people to ‘welcome us into your home’!!! What a delight to wake up to CNN coverage of Rinius and Alex at Londalosi! Well done guys you did a great job of portraying the essence of African safari and your love of the bush! Just loved the story about the international flight tracker!! Anyone who watched must surely have the desire to return to Londos right now!! Up, close and personal with the Team- love this page! Thanks for sharing! You thoght us to make bobotie,in a wonderful private class!!! that swim on the lake just outside the camp!! !